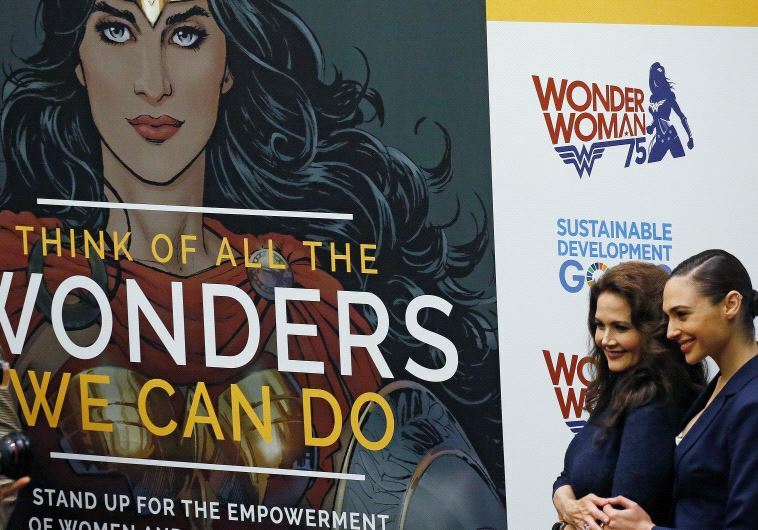 On Wonder Woman’s 75th birthday Friday, the iconic character got one heck of a present – being named the United Nations’ Honorary Ambassador for the Empowerment of Women and Girls. 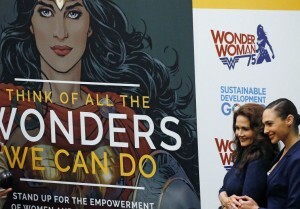 The Amazonian warrior got the honor at the UN’s Manhattan headquarters at a ceremony featuring both Lynda Carter, who played the character in the 1970s television series, and Gal Gadot, who will star in 2017’s “Wonder Woman” film. As part of this honor, Wonder Woman will be featured in a campaign to push gender equality and the empowerment of women and girls. The UN’s name for the campaign, “Sustainable Development Goal #5,” probably won’t make it as a superhero-movie title. Cristina Gallach, the UN’s Under-Secretary-General for Communications and Public Information, called the title part of “creative alliances” the world organization is making to reach the widest possible audience. “I don’t need to tell you that Wonder Woman is an icon,” Gallach said. “She has been known for her commitment to justice, peace and equality.” The designation, however, has not been without controversy. Some 1,000 UN staffers and women’s groups signed petitions calling for a human ambassador, rather than a fictitious character, and social media is questioning whether Wonder Woman is qualified for the job. DC Entertainment isn’t just lending the hero’s image to this cause. It will publish a special comic book in 2017 that supports the campaign, said DC Entertainment President Diane Nelson. This book will be published simultaneously in English, Arabic, Chinese, French, Russian and Spanish, a first for the company, Nelson said. “As an honorary ambassador for the empowerment of women and girls, Wonder Woman will have the strength and backing of Warner Brothers, and DC Entertainment’s resources to raise global awareness of sustainable development goal number 5,” she added. Carter, in particular, drew standing ovations during her statement. She described facing critics who were unsure whether a woman could helm a television show when she was cast as the hero in the 1970s “Wonder Woman” television show. “They didn’t think a woman could hold a television show,” Carter said, while also asking anyone who doubts the heroine’s power to embrace her involvement in the campaign. “Women really know who they are,” Carter said. “We believe in fair play and fair pay and playing by the rules. We build families and communities and yes we stand by our men as they stand beside us, and now today we call on all these good men of the world to work with us and help us achieve the freedoms that all women and girls worldwide so richly deserve.” Gadot, who sat next to Carter throughout the ceremony, said she was honored to be linked to the inspirational character. “It’s her vision of the future of peace and acceptance that makes her the right ambassador for everyone,” the Israeli actor said. “Wonder Woman” movie director Patty Jenkins also attended the United Nations event. The UN gave the award to Nelson for the official designation in front of an audience that prominently featured young girls Carter and Gadot waved to throughout. This entry was posted in Readings on Star Politics and tagged Cristina Gallach, DC Comics, Gal Gadot, Lynda Carter, Sustainable Development Goal #5, United Nations’ Honorary Ambassador for the Empowerment of Women and Girls, Warner Brothers, Wonder Woman. Bookmark the permalink.